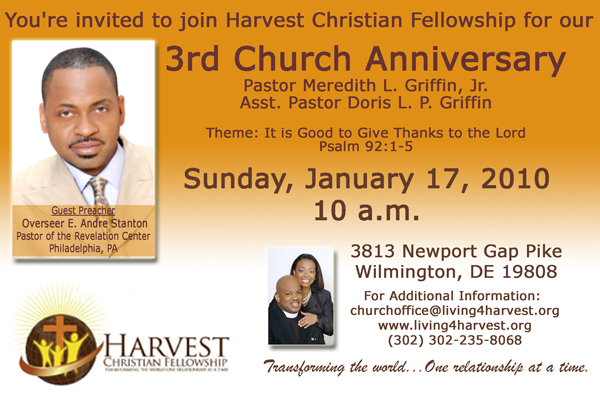 Come out and celebrate with the members of Harvest Christian Fellowship on Sunday, January 17, 2010 at 10:00 a.m., as we give thanks to the Lord during our 3rd church anniversary. Harvest in January 2007, with a Bible Study that was held weekly at a local hotel. 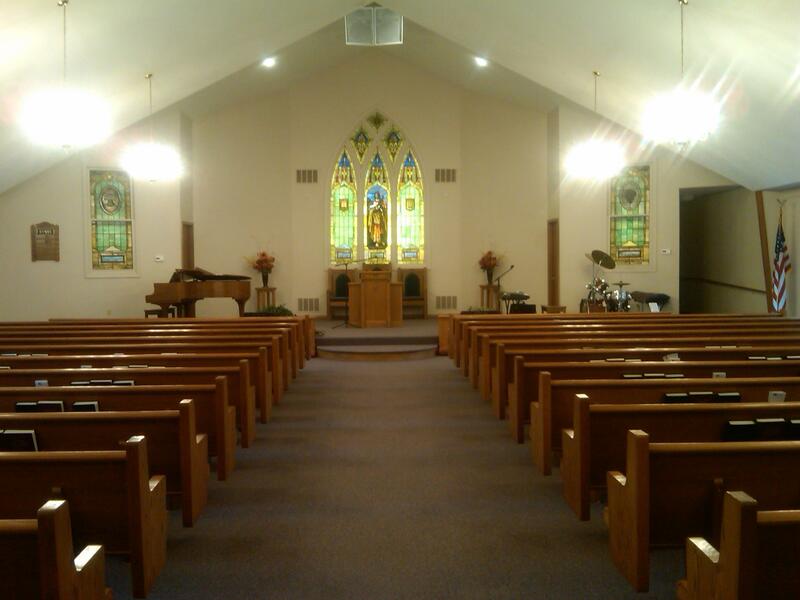 During the first Bible Study twelve persons made the commitment to become members of this new church. Since then, we have watched God continue to grow us in faith and numbers, as we serve our community and each other. Our guest preacher for the anniversary celebration will be Overseer E. Andre Stanton, Senior Pastor of The Revelation Center in Philadelphia, PA. A gifted pastor, preacher, and singer, you can rest assured that Overseer Stanton will bless via the word of God. Our theme for this celebration is, “It is good to give thanks to the Lord.” The pastoral leadership of Harvest Christian Fellowship, its members, and regular visitors know that God has truly been faithful, and pray that you can join us for our morning worship service and food after service.